One of the most interesting aspects of traveling is the opportunity to explore the unexplored and experience the inexperienced! Being a backpacker, I’m not so much into luxury, however if I get an opportunity every once in a while, I’d not hesitate to sit back and enjoy the relaxation galore. One such opportunity happened to present itself when we went to a much renowned, tourist attraction, yet very popular destination among hikers for the sheer joy of trailing down the woods. 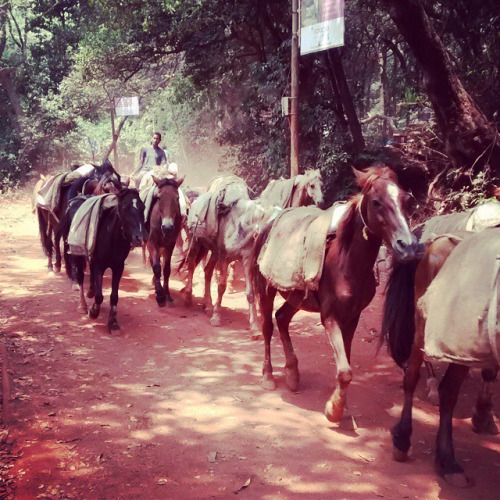 Yes, I’m talking about the ever so popular, Matheran! A weekend destination in itself, this location is a regular, for people around Mumbai, Pune and has a very age old heritage and antiquity to itself. Discovered by the Britishers back in the 1800’s, left to the Parsis, this place now has become a tourist haven. But apart from it being a typical weekend retreat for tourists, there are certainly a lot of unexplored aspects of Matheran, which many people generally tend to miss out especially if you get caught up in the whole typical, sight seeing, visiting spots, the regular horse back riding or the toy trains which are most popular with breathtaking views across the mountains. We happened to get one such opportunity while we went on a long weekend to spend some quality reclusive time this summer. 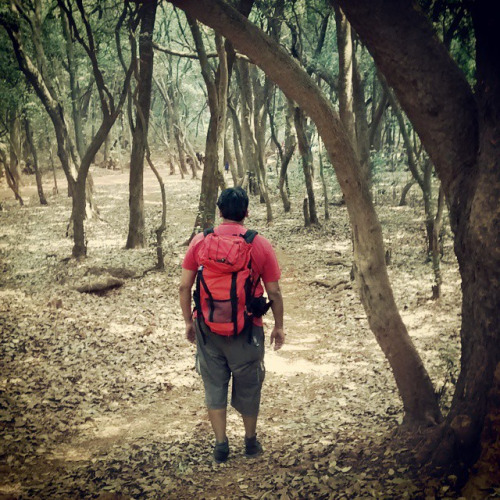 Apart from being close to nature, the little respite from the Mumbai heat was more than welcome. The joy of walking, rather hiking across the woods, the ability to feel the shadows of the trees and see horses galloping around, the amazing view of the sunset across a dense array of mountains was something worth spending the quality time over the weekend. But all that apart, the most enchanting experience of this weekend was the brilliance and magnanimous feeling of being in a vintage property that’s age old and hasn’t really had the need for any kind of restoration. 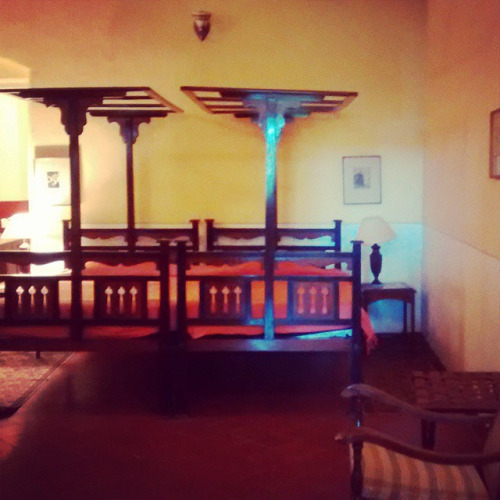 Originally, known as the Barr House, built by Colonel Barr during the early regime of the East India Company and later on inherited by a Parsi owner, it became the Verandah in The Forest, when it was acquired by Neemrana Group of Hotels as part of their amazing collection of Vintage hotels across the country. While you may not have connectivity, television, network, Internet at this hotel, what makes up for it is the amazing experience of being transported back into a time capsule, probably back in the 90’s where you have a huge hall within the hotel, where you can listen to an amazing collection of music, my favorite, Jazz on a CD Player. Read some vintage magazines, an exploration of the Parsi dynasty, treasured books off the library shelf. The decor and the furniture within the room, is still from the 1800’s and has an enchanting style to it, that cannot be matched without any other experience in a luxury resort of sorts. The sheer brilliance of an antique, vintage experience, topped up with a courtyard of retreat and relaxation, brings joy to your tethered soul that needs space on weekends such as the ones we explored. The best part about this hotel, was that it’s a walk away from the famous Echo Point and Charlotte lake, amazing I must say for the magnificent view at Sunset. 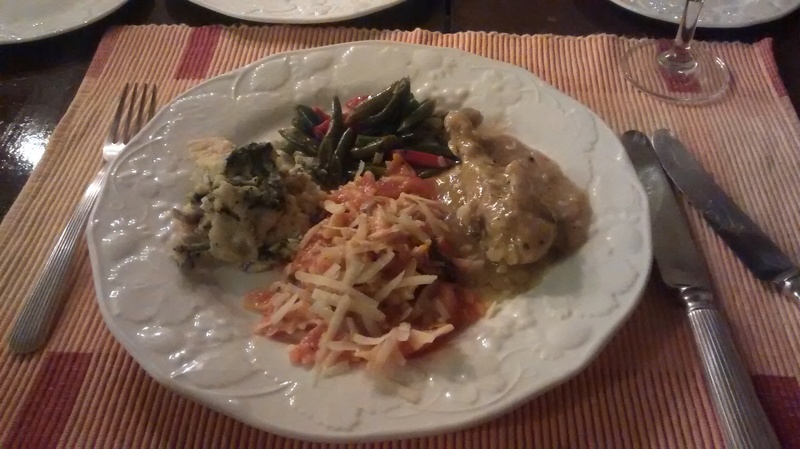 Not to mention the amazing experience that we had during our 4 course dinner sitting in the dining room, that probably resembled one of those from the movies depicting old regime of pre-independence British era. With the candles, the wall clock, the silver laden platter and cutlery gave us a feeling of the royal family dinner, one that you won’t get anywhere else, especially around here. The experience was one of it’s kind. 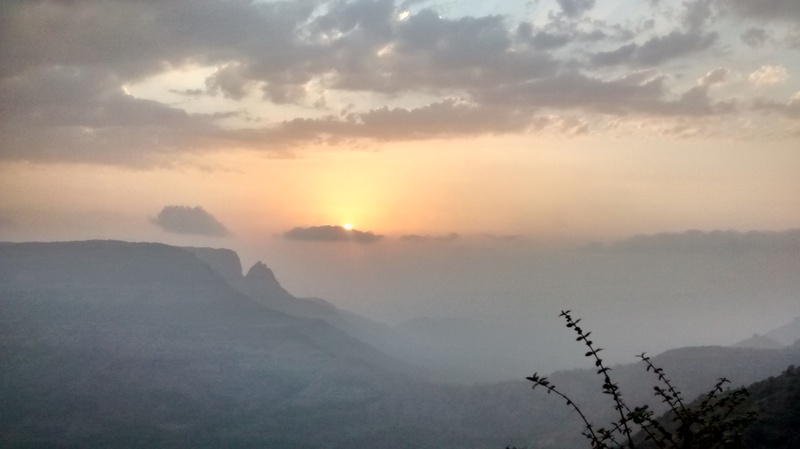 Special Note: This trip to Matheran was an impromptu weekend getaway. A special thanks to the Neemrana Group’s The Verandah in the Forest for their warm hospitality and complimentary stay. 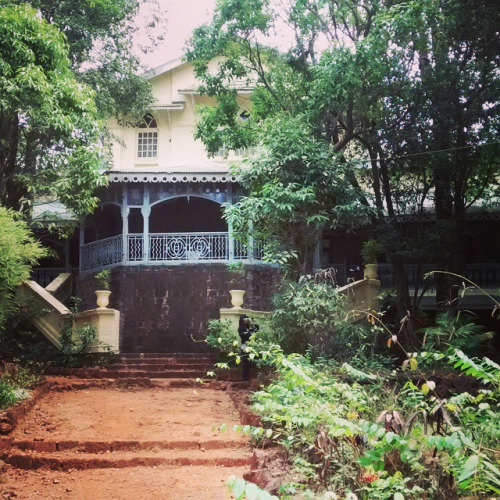 The Verandah in the Forest is acclaimed as the second house to be built on the isolated Western Ghats, by the Britisher Captain Barr. Now, with every facility in place, it is reputed to be second to none! A note on Neemrana Properties- All Neemrana properties are ‘non–hotel’ Hotels, as they were originally built for other purposes. All efforts have been made to maintain the old charm of The Verandah in the Forest while ensuring the basic comforts that have come to be associated with the changes in lifestyle since the 19th century. Neemrana offers guests a unique opportunity to lounge like never before. 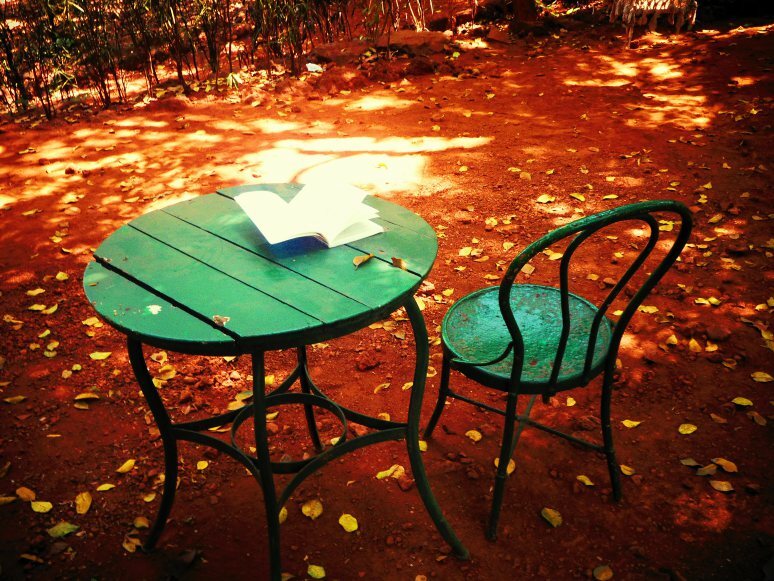 This entry was posted in Travelogues, Stories and Life on May 5, 2015 by srinistuff.